While working on your New Year’s resolutions, did you promise yourself a great vacation in 2014? If you need some ideas, here’s a list of the hottest travel trends. 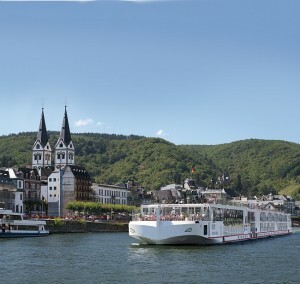 The annual travel survey by the Travel Leaders Group found European river cruises to be the single hottest travel trend. Only three years ago, European river cruises ranked 21st. Based on actual booking data, the survey suggests this is the next big thing. “If Europe could find a way to create additional scenic rivers, the travel industry and, in particular, our agents would be sending even more clients on European river cruises,” said Travel Leaders Group CEO Barry Liben. Many travelers don’t realize the biggest river cruise company is based in Woodland Hills. Viking Cruises was recently named “Best River Cruise Line” in Cruise Critic’s 2013 Annual Editors’ Picks Awards. Viking says unprecedented consumer demand has made it the company’s biggest year to date. Almost all of its 2013 itineraries were sold out as well as more than half of all 2014 staterooms. And the company is responding with more ships, said Carolyn Spencer Brown, editor-in-chief of Cruise Critic. Viking will add 14 new Longships this year. Last March, the L.A. cruise line set a Guinness World Record by christening 10 ships in a single day. Viking’s fleet will grow to 51 vessels by the end of 2014. This includes 30 new revolutionary Longships in the last three years alone.